« Parenting Experts & Animal Experts Unite! The human body is designed to digest the foods of the planet and use that energy for fuel. The foods of the planet are easily digested, absorbed, and converted to energy. It is not designed to use the body’s energy to digest processed foods. It’s just that simple! Yet, it is processed foods that tickle the taste buds. It is the sweet. It’s the sweet and salty combined. It’s the hidden sugars that tantalize the tongue and leave us wanting more and more. Whether it’s healthy or not doesn’t seem to matter. What matters is the taste on the tongue! The human body is designed to use food as fuel. Imagine eating as the input valve for the body’s energy source. (Like the gas tank for a car.) We take in food, covert it to energy for immediate use or store it up for later use. The tongue helps us to move the food in our mouth for more efficient chewing and it aides in the process of swallowing. It also has taste buds that help us to discern the basic nature of the food including salty, sour, bitter, spicy, and sweet. In our culture, the sweet has won us over. The human body is designed to eat only when hungry and only enough to stop the hunger. We were not designed to eat until we are “full”. We have done ourselves a terrible disservice by teaching ourselves and our children to eat until we are full. Maybe that was a condition of centuries ago when famines were feared. But that is no longer a threat for our culture. The illusion that we must eat until we are full has caused an entire population of people to over eat. Over eating stretches the size of the stomach and we have to intake more food quantity to reach “full”. The cycle continues until we have a morbidly obese human with a stomach organ the size of a football instead of the size it was designed to be – the size of our fist. Regardless of your age, height, or bone structure, the size of your stomach is supposed to remain the approximate size of your closed fist. The human body is designed to eat the foods of the planet. Fruits, vegetables, nuts, and seeds all have enzymes, vitamins, minerals, and nutrients that are far more complex than we can fully understand. They work in synchronicity with each other in such a way we cannot duplicate with scientific measures. The foods of the planet were created/designed to fuel the body with energy for activities and to sustain life. Although scientists try to fractionate the elements out of the whole foods to design specialty vitamins or try to genetically alter natures bounty in order to make it “better” – there is nothing better than the whole foods… as nature intended for us. The human body is designed to digest minimal amounts of meat. Fresh meat that was caught or killed and shared with others… fresh off the bones. If cooked, it was added to vegetables for a stew like meal or eaten by itself in small amounts. The human body was designed to eat more foods from plants and less food from animals. Meat as the main event in our meals does more harm to our bodies than good. We were not designed to handle the processing of meats (or any foods) like we eat today. And it’s literally killing us. Our culture has more dis-ease and chronic illness than any other. The dietary intake of our culture is the primary culprit. When I think of how our body is designed to eat healthy foods of the planet, I am continually amazed at how often we choose to eat based on taste and taste alone. We live by the taste on the tongue! We will eat with no hunger noted but anticipating the taste of the food in front of us. We have become so addicted to sweet and the need for sugar on our tongue that we are as addicted as any cocaine, heroin, or meth user! The research has shown sugar to be that addictive! And, we allow it to be the front runner in our dietary choices. From coffee based sugary beverages and so-called sports drinks to breakfast cereals and other highly processed products we call “food”… sugar is added! I believe if sugar were discovered today it would be FDA regulated. We know it is a primary factor in deteriorating health conditions like diabetes and all inflammatory diseases. Sugar feeds bacteria, viruses, fungus and cancer cells. Yet, we still choose high sugar foods admitting, “it tastes soooooo good!” It is literally the taste on the tongue… a muscle in the body less than 2x4in. Take a look at your own food choices. Does the taste of the tongue guide your food choices? 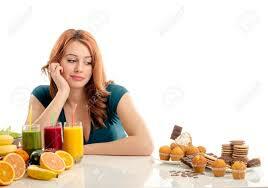 Do you follow the SAD diet (Standard American Diet)? Do you seek healthier food choices? Do you recognize food is fuel not just a tantalizing treat for the tongue? Or are you way too fond of the sugary, sweet desserts and snacks? Do you think you might be addicted to sugar? Ponder your food choices this week and then revisit this blog and comment below!